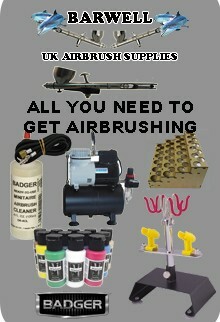 Airbrush stencils, a range of stencils Reusable & non reusable for Cake Design, Decorating, Wall, Home Furnishings Fabric, Canvas Decorations, Airbrush, Drawing, Drafting, custom painting, true fire, model painters, tank painting, it may also be used for other art and craft applications. STENCILS There are 53 products. HD means High Definition. Lo-tac / sticky, totally flexible SEMI reusable semi-transparent film mask - a real innovation when it comes to painting camo and precise grid type designs on your models. Plus skulls, flames, drips, scales and sooo much more! The HD range is made from an ultra thin, fully flexible, slightly stretchy low-tac mask which allows you to apply precise detail to curved and 3D areas of your models with unbelievably awesome results. The flexibility of the stencil means that you can bend paint around corners - It's not quite as cool as bending air, but we think it comes pretty close. The HD range are sold as 'semi-re-usable' - This means care has to be taken when applying and removing them but most people get quite a few uses out of the same piece of mask. In one experiment a customer told us he got over 30 uses out of one WW2 Star. Grid / mesh designs will probably be considerably less than this due to their fragile construction.